Our goal is to treat our clients as we would treat our families and to treat our pet patients as though they were our own. Serving Greensboro, Oak Ridge, Summerfield and surrounding areas. 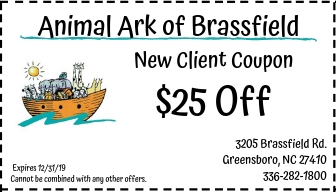 Located just behind Home Depot in the Brassfield Office Park. All the love and care your pet needs to stay healthy!